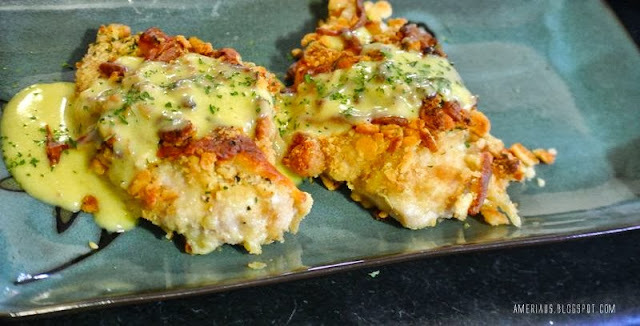 This crunchy ritz crusted chicken tastes delicious in this easy to make creamy sauce. After having it for the first time the other night my partner even told me this was one of his favorite recipes! Goes well with a loaded baked potato and steamed carrots. You can never have too many yummy chicken recipes! Place milk in a small bowl. Crushed Ritz in another small bowl, and shredded cheddar cheese in a small bowl. Take your chicken breast and dip it in the milk, roll it in the cheese, and toss it in the breadcrumbs. 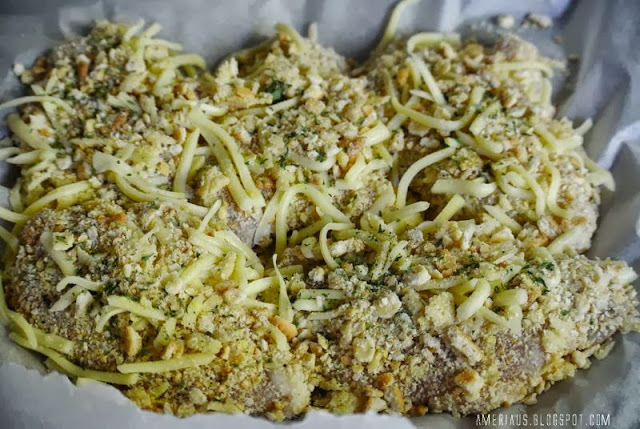 Place coated chicken breasts on a greased baking tray and bake until the juice from the chicken runs clear and the chicken is golden brown. Put your cream of chicken into a saucepan on medium heat. Add sour cream and butter and stir until it is dissolved. Serve warm over your chicken and sprinkle with chopped parsley.